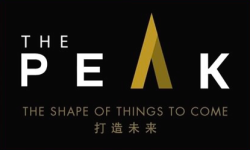 Latest News: The Peak Retail Mall Will be Managed by CapitaLand. Units Open for Booking Now – with 55% Net Rental Guaranteed! 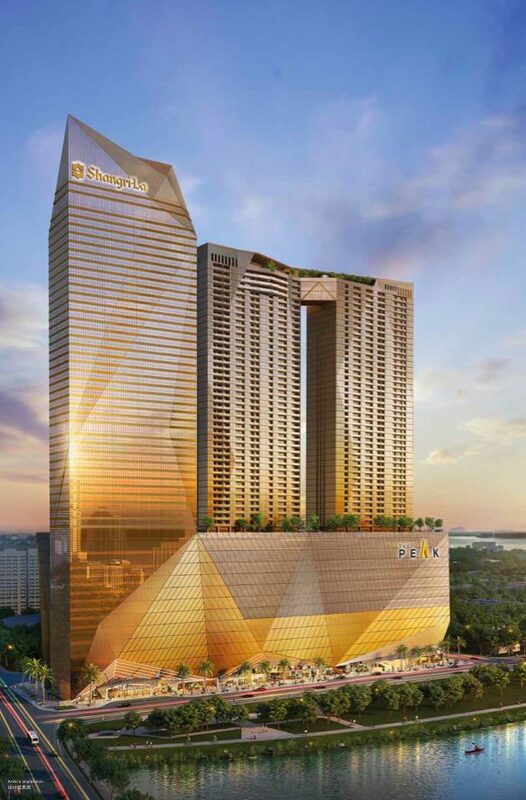 Luxury Development With 5 Star Shangri-La Hotel Next Door. Register Now As Our VVIP To Enjoy Best Discount Direct From Developer. 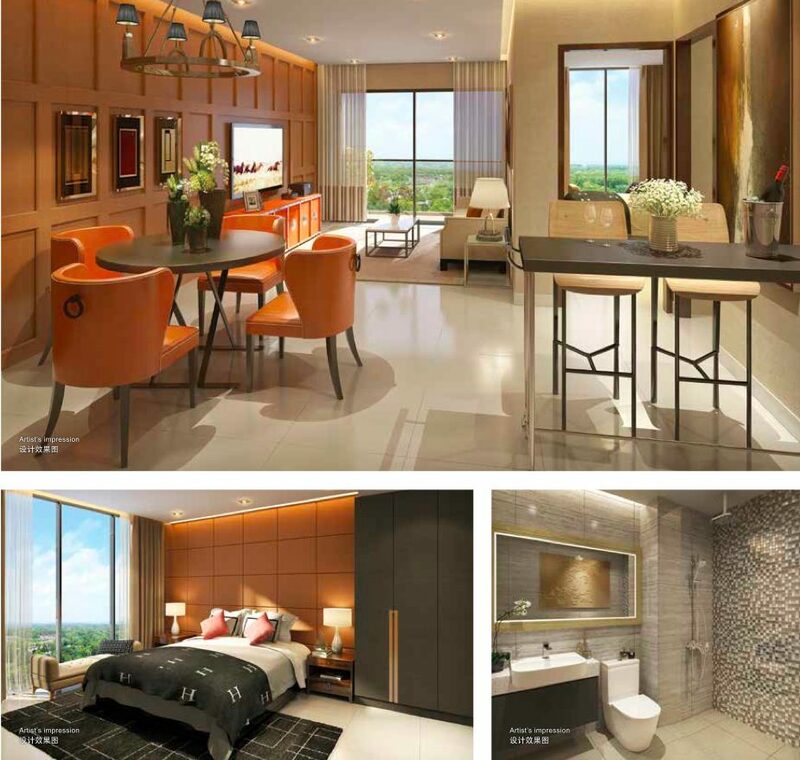 After the successful launch of The Bridge, Oxley & Worldbridge is launching another exciting iconic development. 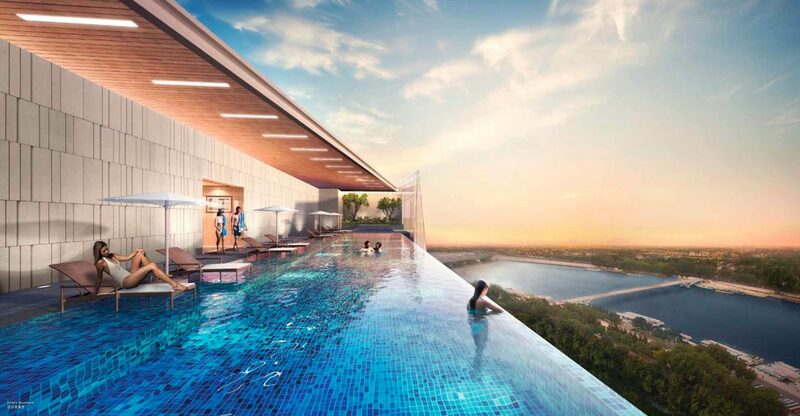 Rising 55 storeys into the sky, The Peak is an oasis of luxury in the clouds. 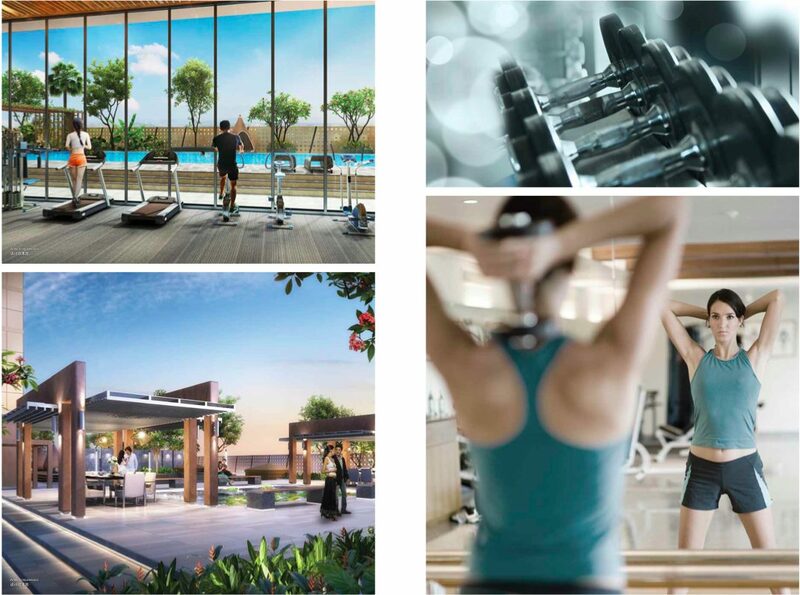 A whole new level of living comes into being as the choicest picks of residences, shops, restaurants, offices and the prestigious Shangri-La Hotel come together in an integrated mixed-use development like no other. Sharing the same desired address as the Shangri-La Hotel is a mark of distinction, and all its classy restaurants, bars and ballrooms are at your disposal. The Peak comes clad in stylish bronze, a definite colour of luxury. The two towers comprising about 500 units each are paragons of dynamic architecture, specially crafted to bring out the finest of the site and tis surrounds. 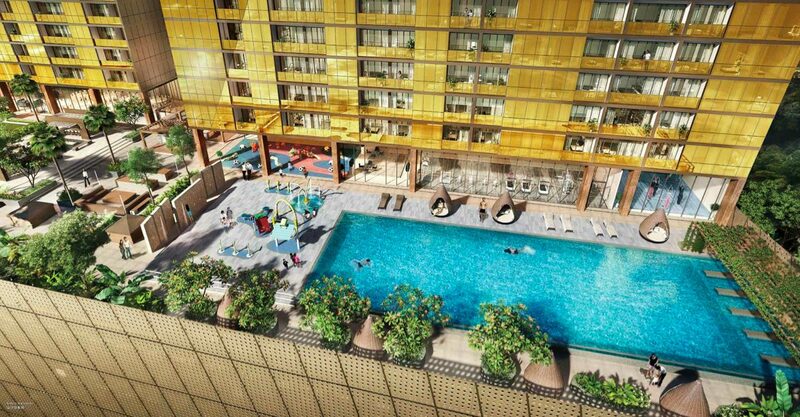 The Peak is strategically located in the heart of Phnom Penh, along Mekong River. It is near to 5 Star Naga World Casino, AEON Mall, Australia & Russia Embassy and etc. 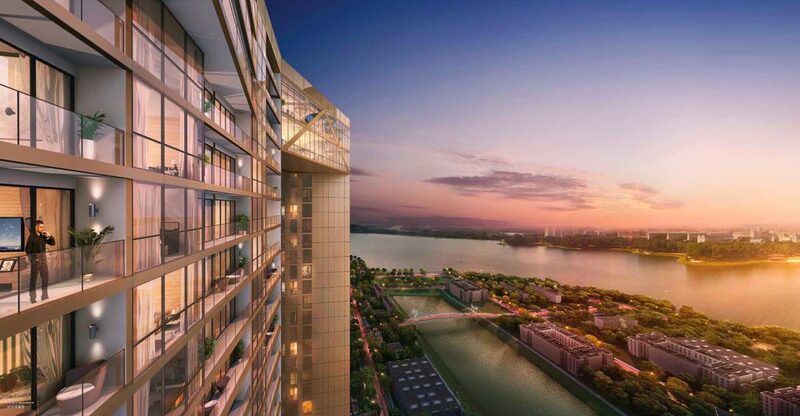 Being the most iconic development in Phnom Penh, units will be able to enjoy panoramic city skyline of Phnom Penh and superb view of Mekong River. The Peak offers five levels of retail excitement at your doorstep with specialty shops, chic culinary restaurants and exciting entertaining spots to top it off, not to mention more of such fine experiences in surrounding malls to satisfy your shopping desires and daily conveniences. View The Peak Retail Mall Details. The retail mall will be managed by Singapore listed company CapitaLand, who is currently managing 19 malls in Singapore and more than 40 malls in China, including Beijing, Shanghai, Guangzhou and etc. 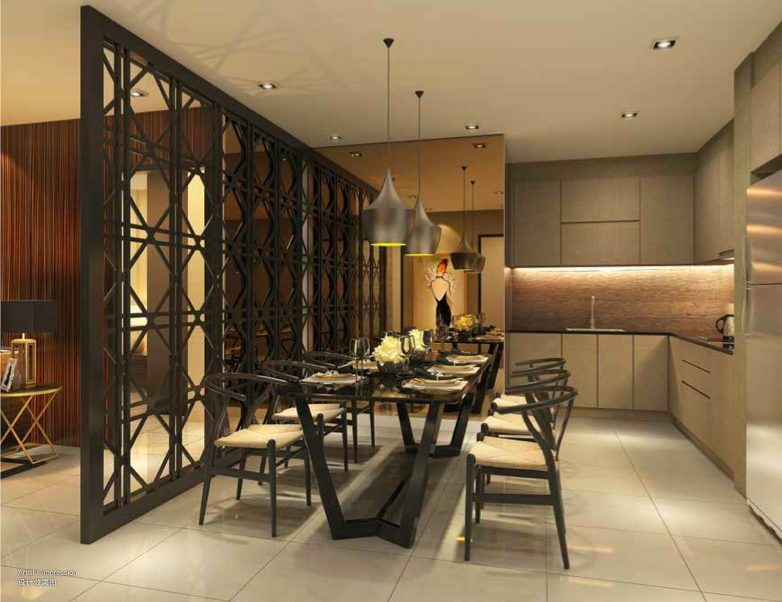 Rare Grade A Office For Sale in Phnom Penh, directly below Shangri-La Tower. 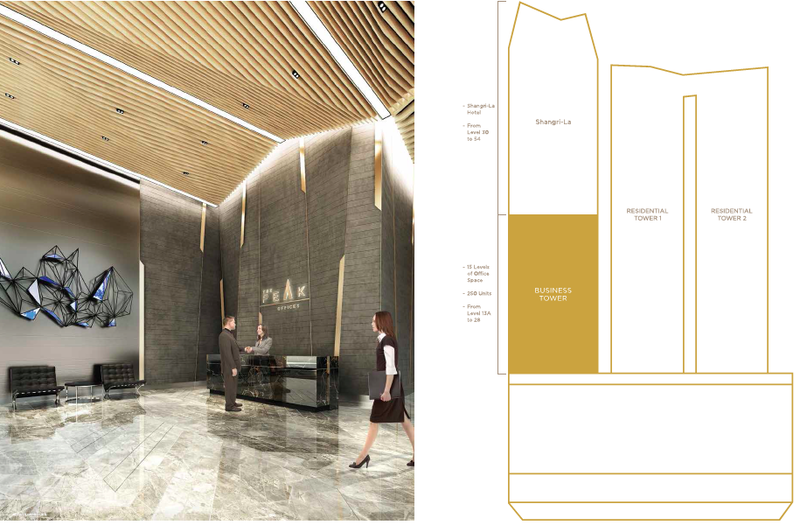 The Grade A Office will occupy from level 14 to level 28, while Shangri-La Hotel will occupy from Level 29 to 54. Enjoy flexible layout from 450 sqft to 6000 sqft for the Grade A office, catered for investors/companies looking for the most prestigious address for their business. The Peak Cambodia | Why invest in Cambodia ? Space truly comes alive in residences designed with an eye on beauty. A clean and modern style exudes sophistication yet fosters a sense of intimacy. enchanted with spacious balconies, home becomes a destination in itself. Days are simply sensational with scintillating views that accompany every moment. Feast your eyes on uninterrupted vistas of the entire Phnom Penh City, Diamond Island and the river from the comfort of your apartment. Islands of bliss in the sky, there are two landscaped sky decks on levels 13A and 55, creating a unique private world of lush greenery and sparkling blue pools. With the luxurious Shangri-La Hotel next door, you will enjoy world-class service amidst tranquil surroundings, coupled with inspirational architecture and design. From the finest dining to business lounges and spa experiences, it will ensure that every palate is pampered. Request for Floor Plans / E-Brochure / VVIP Discount. VVIP Preview is by invitational. Please fill up the form, and we will be in touch with you shortly. Official Developer’s Sales Team. Latest updates on the development, VVIP discount, detailed units layout, payment schedules, latest price are available upon request. Simply fill up your particulars to stay in touch! Developer’s Price + Early Bird Discounts = LOWEST PRICE ! Register your interest now to receive the most updated info, VVIP Preview Details and enjoy Earlybird Discount! 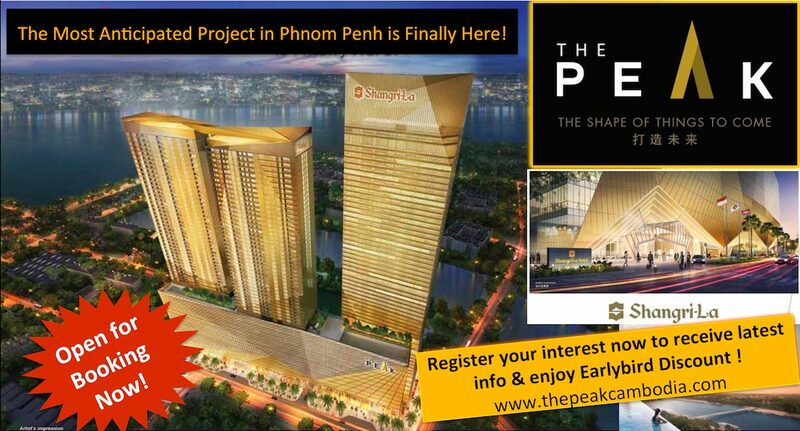 I am interested in The Peak in Phnom Penh. Please contact me. Thanks.